At ERREZ Design we understand that the most important part of any project is that the outcome reflects you. We have developed a design process that ensures a collaborative approach between us and you. 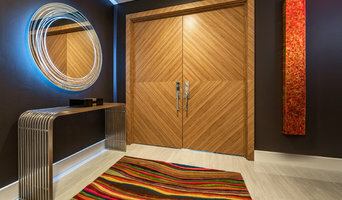 Tessa’s unique talent as an interior design artist seamlessly blends modern, glam, luxury and urban styles to deliver exceptional spaces immersed in beautiful colors and textures. Jewel Toned Interiors is the collaboration of very passionate and talented individuals, each with a different skill-set. With experience in the corporate, retail and hospitality sectors, we serve all clients that have an entrepreneurial spirit. Our goal is to cultivate lasting relationships with our clients, while designing interiors that leave a lasting impression on their guests and users. Interior environments should not be stagnant, instead they should be dynamic and engaging to each and every individual that experiences them across gender, race and generation. Many times the environments we create garner a sense of nostalgia - whether it is the eclectic use of found objects within a space or extremely energetic architecture that calls to your inner child. We all love what we do and do what we love. Sure, there are crazy insane deadlines and several fires to put out for each project, but the truth is, the challenges are what make us adapt and force us to become stronger, more successful designers. The Painted View Inc is a boutique design & remodel firm. With over 18 years success translating your ideas into beautifully functional living designs reflecting your personality, passions & lifestyle. TPVI provides a complete range of designs, remodeling & decoration services for residential, commercial & yacht interiors. What distinguishes us is our customization, cost effectiveness and keen ability to tailor all aspects of individual projects to meet the needs of our customers. Our commitment to superior quality, dependable communication, follow through and attention to detail personifies our talented team of experienced experts. The Painted View approaches all projects both complex and small with enthusiasm and personalization. Whether your home improvement is kitchen remodel, building a home office,a nursery or resurfacing the flooring, we define success by guaranteeing your satisfaction and delivering a "wow factor"! To join our family of happy and repeat clients, schedule a free consultation today. The firm's principal designer Dawn E. Hamilton launched DawnElise Interiors in 2002 and has been building a reputation for service and excellence ever since. Equilibrium Interior Design Inc is a multidisciplinary, licensed & award-winning interior design firm offering a complete range of luxury interior design services & products to our clients. Vella Interiors focuses on creating luxurious interiors with a passion for innovation that respects the locality, yet is global in outlook. Best of Houzz 2016 winner! Decorators Unlimited employs over 50 talented people. We make dreams come true with outstanding customer service, exquisite design expertise & great attention to detail. In collaboration with other industry professionals, Raquel aims to evaluate and interpret the tastes and inspirations of her clients in pursuit of authentic individualized living spaces. Miami-based interior designer. Transforming spaces. She’s got an eye for spotting the diamond in the rough, taking a complete eyesore and transforming it into a gorgeous, elegant and soothing space. Meredith Marlow Interiors has received acclaim and numerous industry accolades. The spaces she designs are sophisticated, refined and unique. They are both softly modern and classically clean lined. 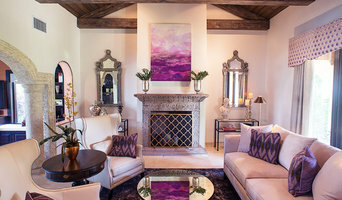 At A. Keith Powell Interior, we offer personal design services to the discerning client who desires an environment with style and personality as unique as the individual. Come let our one of a kind team at J. Alexander Interiors help and guide you through the process to make your interiors design dreams reach reality. HHC Designs caters to clients’ interior decorating needs ranging from simple touches to full room renovations. Our decorating guidance can be as collaborative with the homeowner as desired. Darsie Design LLC, is a Design firm specializing in residential, commercial architecture in domestic and international markets based out Fort Lauderdale, Florida. The firm will provide 3D Designs, Rendering, Interior Design blue Prints services using technologically superior processes, providing greater value for clients and enhanced design and construction. The target client is segmented into four categories; home owners, developers, government, and contractors. Restore 818 Homes provides robust design service packages to residential and commercial clients, and offers our exclusive Turn-Key Dream Home Program for homebuyers in South Florida. The work of a professional can make all the difference. Whether your home has 10 bedrooms, or your apartment is 800 square feet, it can be tricky to create a cohesive look that is representative of your style. That's where a local Coral Ridge interior designer comes in. A home decorator will help distill your tastes and ideas into a design that suits the needs of your space. Whether you need help creating a functional space plan, rearranging existing pieces, designing the inside of a new home, or simply sourcing amazing furniture and decor, seeking the help of professional interior designers and decorators in Coral Ridge, FL is a must. A good home design professional will hone your style down to its very essence and be able to choose a functional layout that feels natural to you. Interior design companies can be involved as much or as little as the client desires. Many clients who hire an interior decorator in Coral Ridge, FL — particularly those who are remodeling — have a good sense of how the room should look and what products they should use. Often clients will insist that interior decorators use the products already present in the house. Other times a designer will need to start from scratch — especially if this is a newly purchased or just-built home. An interior design company will need to figure out exactly what the client needs, which includes organizing rooms, picking flooring and wall colors, and finding furniture to complement it all. Sometimes that means he or she will have to recruit help from other Coral Ridge, FL home professionals to help create the perfect look for your renovation. Here are some related professionals and vendors to complement the work of interior designers & decorators: Architects & Building Designers, General Contractors, Home Builders, Design-Build Firms, Photographers. Do your research before meeting with an interior designer or home decorator in Coral Ridge, FL. Ask yourself what you want your space to become and what it will be used for. Figure out the extent of what you need help with, what your must-haves are and what your budget is. Interior design services can add up fast, so be up front with a potential design firm or individual from the beginning. Also, pick an interior decorator that fits your style. Browse through the portfolios of different Coral Ridge interior design firms and decide if you would live in those houses. Just because you like something doesn’t mean you could live in it. There's a big difference! Find an interior designer or home decorator in Coral Ridge, FL on Houzz. Narrow your search in the Professionals section to find Coral Ridge interior designers near you. 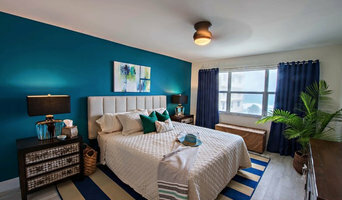 You can also look through Coral Ridge, FL photos to find a room you like, then contact the design firm who designed it.